Hi guys, I’m really happy to announce the release of our newest Foundry Project called “Barbers”. 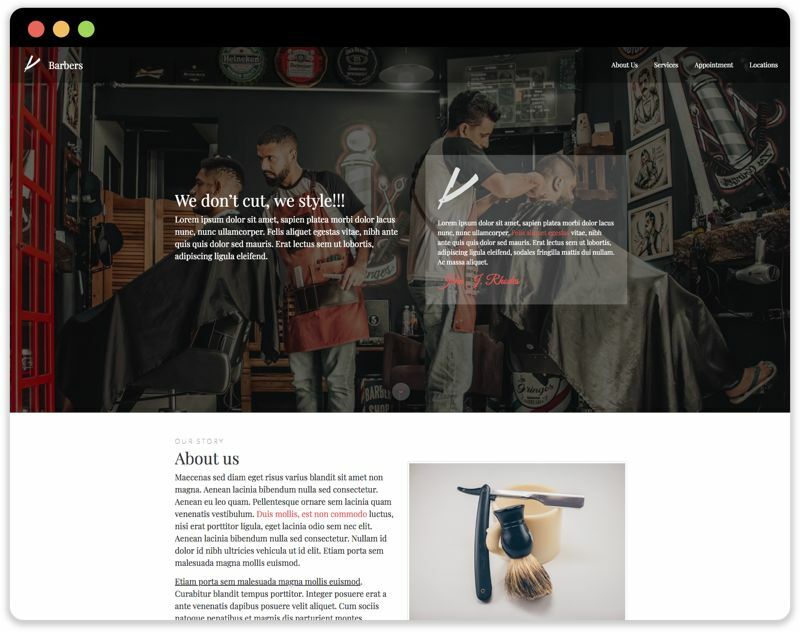 Barbers is a single page Foundry project designed to give you a professional and modern style for any kind of business, like beauty and hair salon, the modern facilities with attached spas and mud baths or the salon with vintage seats and mirrors. Starting from the nav bar you will find each single section in the page, with beautiful interactions to reveal it’s content. Another beautiful looking project file @egomade! Really nice design that seems very versatile! Hi, as a premium member of egomade how can I get “barbers” project? You have created an account when you’ve purchased Premium, now you access all your updates for Premium from your Gumroad Library.